At Staten Island Oral & Maxillofacial Surgery, we use the most innovative and advanced technology currently available in order to provide minimally invasive dental surgeries. We understand that dental procedures may cause some patients to become nervous or anxious, so we take every precaution possible to ensure patient safety and comfort. Our talented oral surgeons and dentists are available every step of your procedure to answer any questions or concerns you may have. 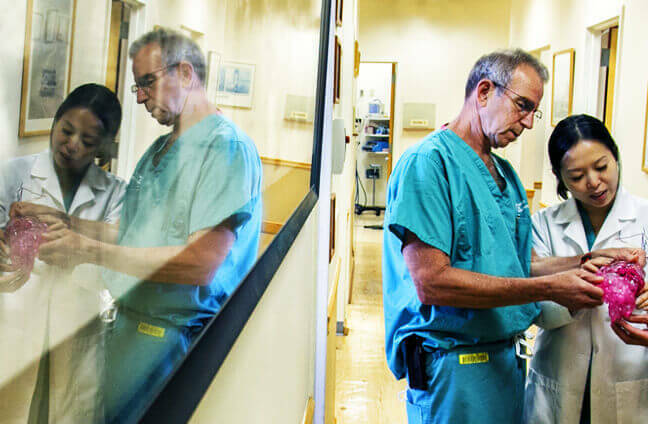 Our Staten Island oral surgeons are specially trained to provide the most progressive technologies, such as the i-CAT in-office CAT scanner, intraoral digital scanner, and virtual oral surgery planning. We provide unmatched patient care and use state-of-the-art technologies to ensure beautiful results with as little downtime as possible. The latest in dental technology allows our oral surgeons to more efficiently scan your oral health and treat any existing conditions. Some of our cutting edge technologies can even make a dental procedure or surgery safer and more precise. Our goal is to help restore your bright, healthy smile in as little time as possible so that you are able to get back to your daily life quickly and comfortably. At Staten Island Oral Surgery, we strive to provide the highest standard of care to our patients by using the most innovative techniques and top-quality equipment. The i-CAT in-office scanner is one of the most advanced imaging devices our office uses to diagnose your facial and surgical needs. How does the i-CAT in-office CAT scanner work? 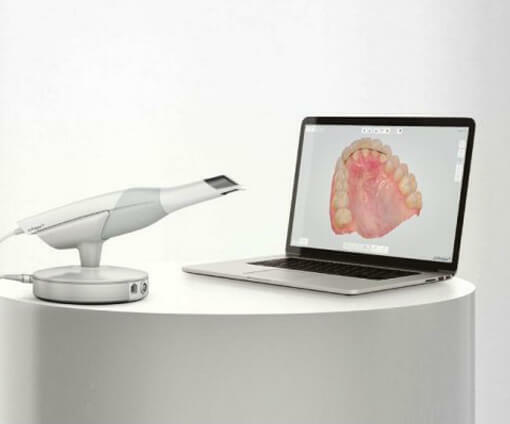 The i-CAT scanner offers the highest quality images and most complete information - with 0.01mm accuracy - on the anatomy of a patient's mouth, face, and jaw areas. This precision leads to the most accurate diagnosis, treatment plan, and predictable outcomes for oral and facial surgical procedures. Additionally, i-CAT is less costly and uses significantly lower radiation doses than traditional, hospital-based CTs. By assessing the anatomy of your jaw, the i-CAT- in-office CAT scanner helps our oral surgeons to successfully place dental implants and perform oral surgery. What are the advantages of using the i-CAT in-office CAT scanner? Our patients prefer the i-CAT scanner because of its convenience and comfort. Patients are seated in an open environment, while the i-CAT scanner captures the natural orientation of your anatomy. 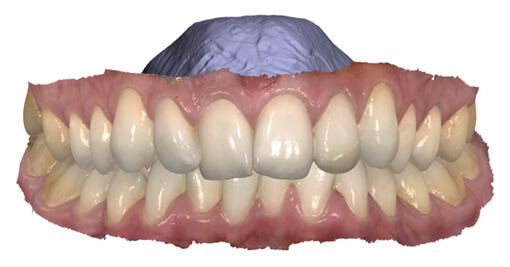 Within a few minutes, the data is transferred to a computer and displayed on an interactive 3-D mapping tool that allows our oral surgeons to easily format and select desired regions for immediate viewing. These detailed images help our oral surgeons diagnose medical problems earlier and more efficiently. An intraoral digital scanner is a fast, efficient way to get an impression of your teeth without impression putty. Our intraoral digital scanner provides an accurate real color impression of your teeth, jaws, and palate in just minutes. By using an intraoral digital scanner, our oral surgeons are able to accurately measure your bite alignment and provide a precise impression of your teeth in just minutes. How does the intraoral digital scanner work? An intraoral digital scanner has many built-in features and tools to increase your comfort during a visit to our office. Our intraoral digital scanner can reliably provide a clear visual representation of your teeth in order to ensure the most successful evaluation and treatment. Using an intraoral digital scanner provides our oral surgeons with an in-depth analysis to the health of your gums and teeth. With the information from a digital scan, our oral surgeons are able to more precisely plan your dental procedure to ensure the most accurate and effective results. What are the advantages of using the intraoral digital scanner? The accurate readings from an intraoral digital scanner increase the predictability of your dental procedure and allow our oral surgeons to be more prepared for your individual case, reducing the possibility of unforeseen complications. Because intraoral digital scanners can provide such accurate impressions in a fraction of the time, patients spend less time in our office while still getting the same beautiful results. The majority of patients also prefer an intraoral digital scanner because it provides oral impressions without the need for uncomfortable impression putty. The precise nature of an intraoral digital scanner means that the majority of dental procedures are done correctly the first time, reducing the possibility of revision surgery. Virtual oral surgery planning allows our oral surgeons to plan out almost every detail of your dental procedure before you visit, ensuring beautiful results and reducing unexpected complications. When planning your dental procedure virtually, our oral surgeons are aware of what to expect when it comes to your particular case. Our oral surgeons can also specialize your treatment to individually cater to your specifics needs and goals to provide the most pleasing results. 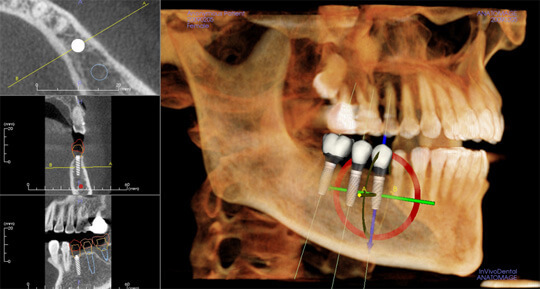 How does virtual oral surgery planning work? Virtual oral surgery planning allows our oral surgeons to map out your dental procedure. In the case of dental implants, our surgeons will know the precise location and angle to place the dental implant for the most natural-looking results. Virtually planning your dental procedure, our oral surgeons can greatly reduce risks and complications that can jeopardize the success of your oral surgery. What are the advantages of using virtual oral surgery planning? Virtual oral surgery planning allows for the customization of your dental procedure, allowing our oral surgeons to plan the surgery around your unique case and anatomy. Virtual planning also decreases the possibility of needing any revision surgery, as our oral surgeons are able to plan your oral surgery with precise detail. With detailed preparation using virtual oral surgery planning, our oral surgeons know exactly what to expect during your dental procedure and understand the unique parameters of your individual surgery, ensuring the most accurate, natural-looking results. How can I find out more about I-CAT in-office CAT scanner, intraoral digital scanner, and virtual oral surgery planning? For more information on the i-CAT in-office CAT scanner, intraoral digital scanner, and virtual oral surgery planning, please contact Staten Island Oral & Maxillofacial Surgery to schedule an appointment with oral and maxillofacial surgeons David Hoffman, D.D.S., F.A.C.S., Lydia J. Lam, D.D.S., Steve Yusupov, D.D.S., M.D., and Mark Stein, D.D.S., M.D. at 718.226.1251.